Located just 15 miles south of Corolla, Duck, NC is a delightful Outer Banks oceanfront to soundfront community that offers miles of quiet beaches, an assortment of highly touted restaurants, seemingly endless biking and jogging paths, and a quaint little village center that’s loaded with locally owned stores and boutique shops. Like Corolla, Duck’s population dramatically increases during peak vacation season, and because of the town’s quaint and quiet feeling, it’s easy to understand why so many flock here during the warm summer months. No matter the season, there’s always some form of community event or entertainment happening around town, with the annual Duck Jazz Festival, which takes place every year in October, being perhaps the most highly anticipated. 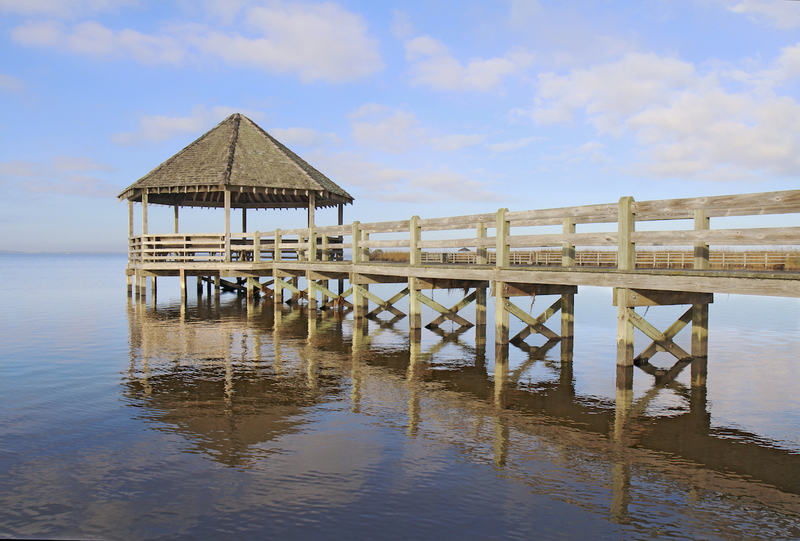 Duck, NC offers no public beach access, which to some, is one of its most attractive qualities. Because beachfront admittance is reserved for only those staying in Duck, the beaches here are far less crowed than other oceanfront communities on North Carolina’s Outer Banks. Duck real estate on the Outer Banks of North Carolina is as diverse as the vacation-dwellers that visit the area every summer. Multi-million-dollar mansion homes occupying the Duck, NC oceanfront certainly offer that “wow” factor to luxury home buyers in North Carolina, but affordable condos, villas, and even some well-established homes settled in Duck’s inner-neighborhoods are also available for those looking at Duck real estate for sale. In addition, the Duck real estate market also features some extremely attractive vacation rentals for those looking to experience the Outer Banks of North Carolina in style, so whether it’s a short-term stay during the peak vacation season or a permanent residence that’s close to the village center or the wondrous shoreline, the Duck real estate market presents a wide-variety of opportunities that should be suitable for anyone looking for the best in North Carolina’s Outer Banks living.